Q: We’ve been a long time user of Solujet for our CIP system, and love it! 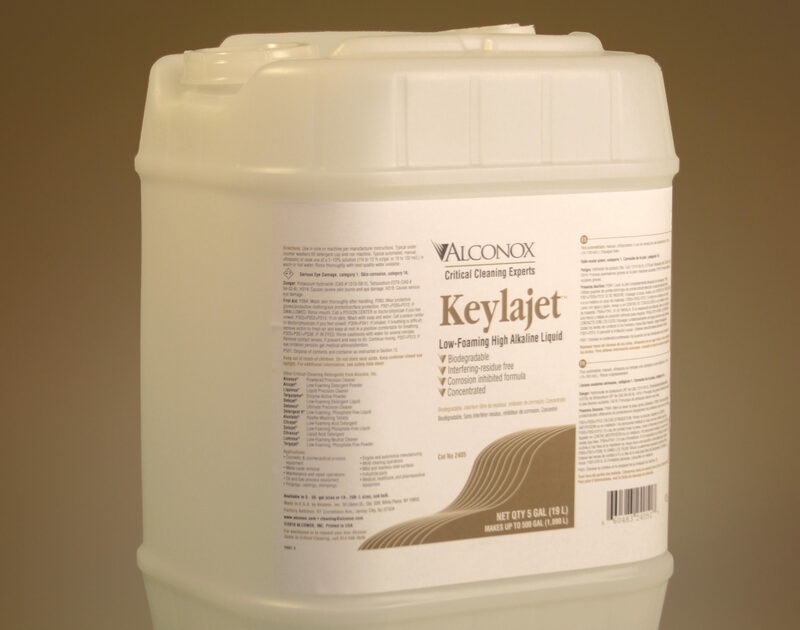 I recently passed by your booth at a tradeshow and you set me up with a sample of Keylajet when we mentioned some extra viscous waxy residue we were having trouble removing. We were hoping to stay with our CIP method. It worked great! Can you relay more info? A: Thanks for the feedback and question. 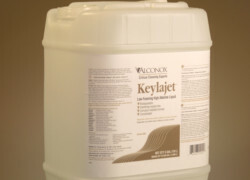 Indeed, Keylajet® Low-foaming High Alkaline Liquid is a powerful and effective low-foaming detergent ideal for extremely tough residues in a Clean-In-Place application. One of our very newest detergents. Solujet® Low-Foaming Phosphate-Free Liquid certainly has long been a highly effective detergent for CIP applications throughout the pharma, biotech and related industries. However, new and changing pharma residues (tablet coatings, metal oxides, etc. ), new botanical residues, as well as increases in needs for cosmetic industry cleaning and cleaning validation, provided the impetus for a high alkaline, low foaming detergent, with highly effective chelators. Like all Alconox Inc. detergents, it is still free-rinsing, biodegradable and free of interfering residues. The cosmetic industry in particular can have extremely tough residues, including titanium dioxide, zinc oxide, silicone, in addition to the cream and ointment bases/formulations. Furthermore, Keylajet detergent is highly effective on heavy greases, tars, resins, waxes, fats and oils. Ideal for the toughest residues that are being removed via automated, high pressure and/or CIP cleaning methods, as well as soaking, scrubbing and sonication with proper PPE. We’d love to discuss further to assist you with pharma, cosmetic or other cleaning needs!